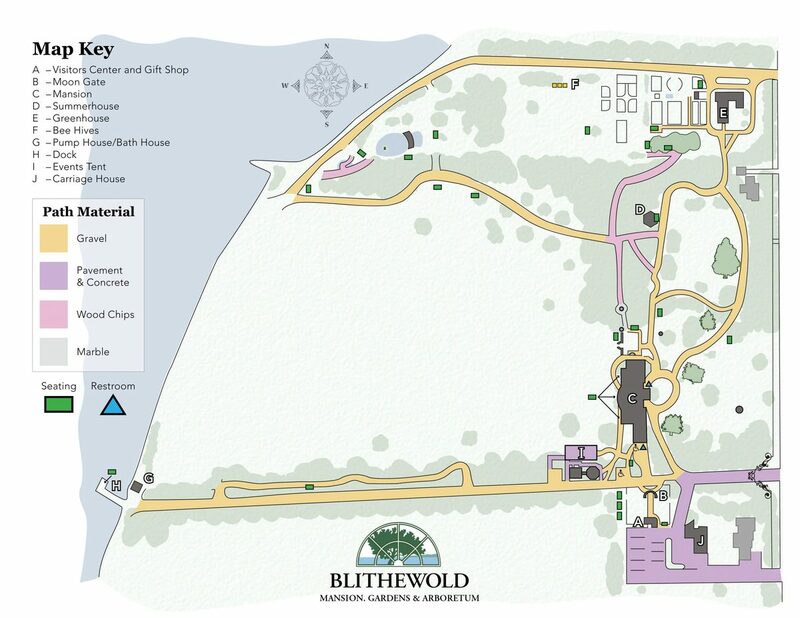 The Blithewold grounds map covers all of our gardens, as well as notable buildings. Other things you can find are the locations of bathrooms, benches, and the path material. Located bellow is a simplified version of our map. Click here to open a PDF version of our map.